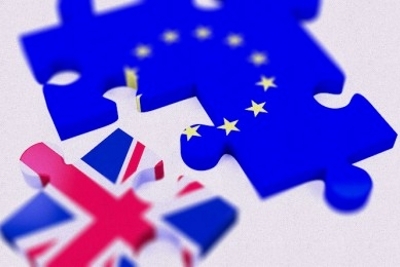 Representatives of the UK health sector have issued a plea that the political declaration being drawn up by the UK and EU27 countries includes clear commitments on public health, including the fight against falsified medicines. News is just emerging from the European Council that a draft of the details of the future shape of EU-UK relations has been “agreed in principle”, but details are not yet available. It’s notable that preventing falsified or fraudulent medicines from entering the legal supply chain is top of the list of concerns, along with sharing data on potential medicine problems, preventing and controlling infectious diseases, and ensuring the smooth supply of drugs between the UK and Europe. Meanwhile, the CEO of the NHS Confederation, Niall Dickson, said it should be possible to specific but non-controversial commitments” in the Declaration to make sure collaboration on areas like pharmaceutical supply and falsified medicines are retained in future. “We need assurances from the UK and the EU authorities that they will put patients first as they negotiate details of the long-term relationship,” he added. Earlier this year, the European Industrial Pharmacists Group’s (EIPG) warned that the combination of Brexit and the implementation of the safety features provisions of Falsified Medicines Directive – which occur within weeks of each other – could lead to medicine shortages and weaken the security of the European supply chain. And last month, the UK Medicines and Healthcare products Regulatory Agency (MHRA) said regulations coming into force as part of the FMD – including the use of unique serialised codes on medicine packs to allow verification at the point of dispensing – would not apply to UK pharmacies if the country leaves the EU without a deal, and it would expect the UK would not have access to the EU central data hub in that scenario. The FMD comes into effect on February 9, just before the UK is due to leave the EU on March 29.